It would help if we know what direction you want to take the image in and what it should look like when done. 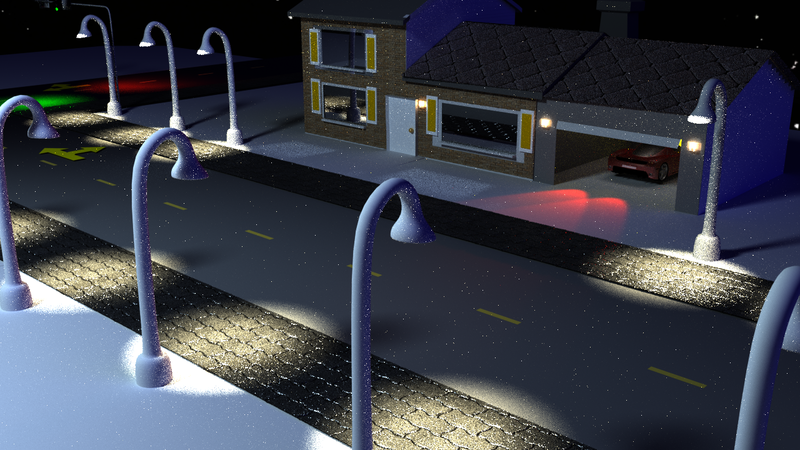 You seem to have a lot of noise right now, have you tried Branched Path Tracing and denoising? Also look at switching to the Filmic tonemapper if you’re still on the default. Beyond that, the main critique I have is that those traffic lights in the background must have some serious wattage to illuminate the street like that. Thanks for your perspective this image was one of my 1st serious attempts on blender and with me still being a rookie I wanted to get some opinions along with suggestions. I downloaded blender to make a logo for my music.